Are You Going Out Tonight?. Beautiful gold evening bag with gold sequins throughout. 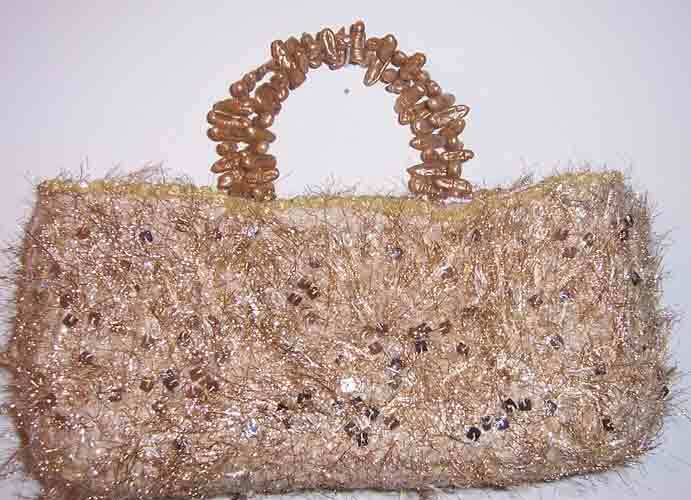 Handles are gold freshwater stick pearls, and gold glass beads are sewn along edge of bag. Magnetic snap closure. Approximate dimensions 4 (h) 11 (w) 2.5 (d).